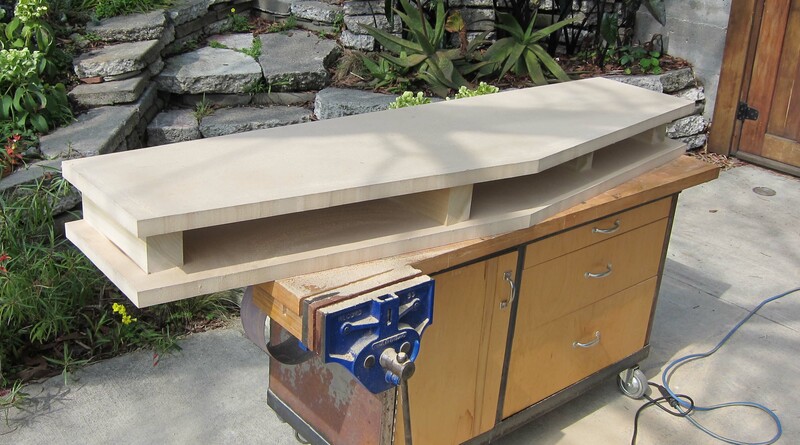 We have started work on this avant-garde TV cabinet for a client in Alameda and are awaiting more sunshine to proceed. Please see this post for a 3d rendering of the piece. I am looking forward to photographing the entire project when we go to install the piece in a few weeks. Stay posted!